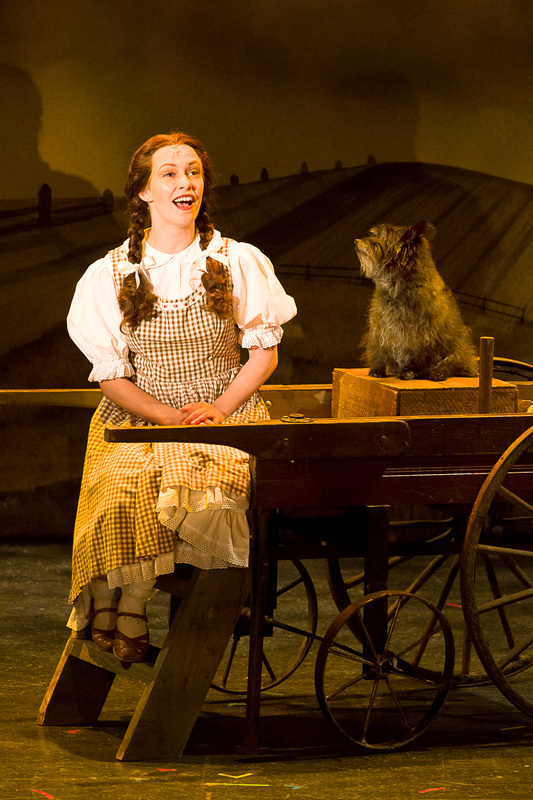 "A fresh, imaginative retelling of Dorothy and Toto's adventures in the Land of Oz. 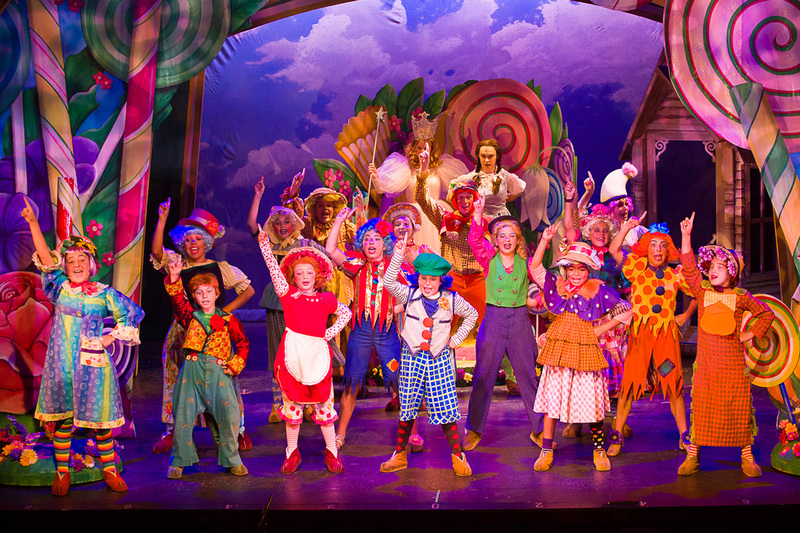 This is a great show for audiences of all ages, but especially for kids. If you don't have one of your own to bring, look into renting one." 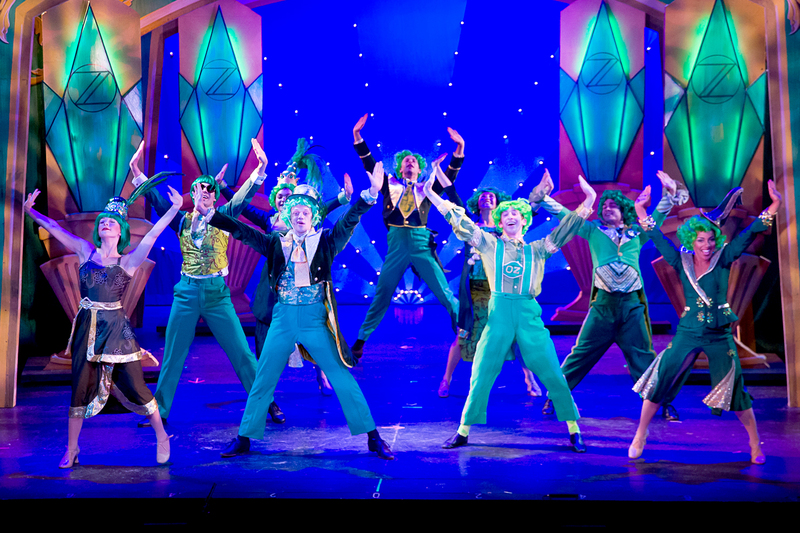 ​There truly is no place like home as the greatest family musical of all time lands on the stage Theatre By The Sea. You will be swept away by our celebration of the iconic 1939 MGM film. 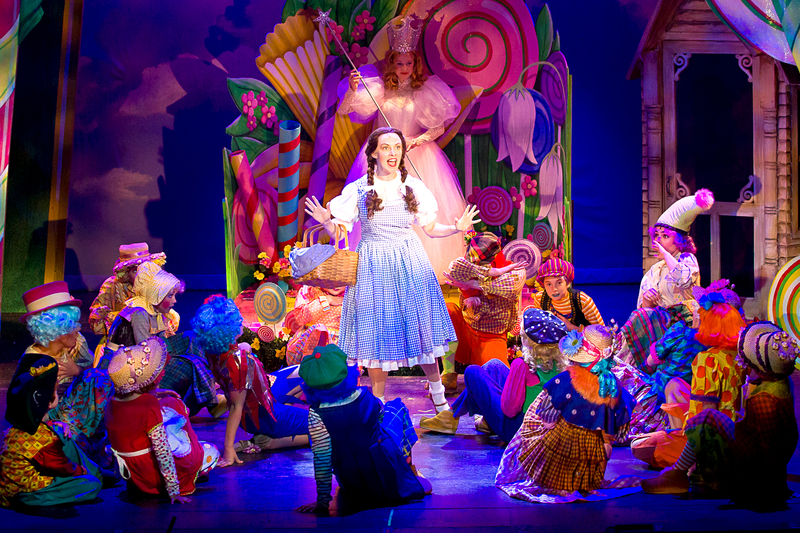 The entire family will be captivated as they travel down the Yellow Brick Road and beyond with Dorothy, Toto and their friends the Cowardly Lion, Tin Man and Scarecrow in this lavish production, featuring magical special effects, dazzling choreography and the classic songs you love. CONTENT ADVISORY: Suitable for all audiences. All guests require a ticket, regardless of age. 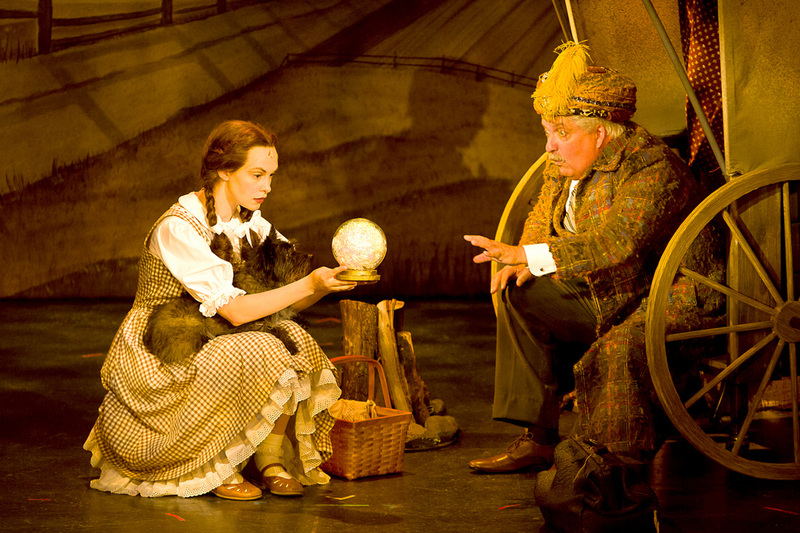 We recommend that children be at least four years old to attend a performance of THE WIZARD OF OZ. 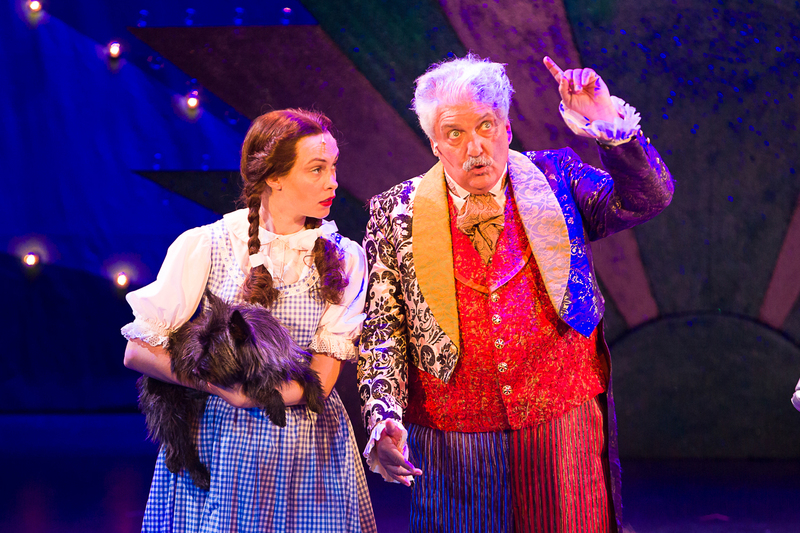 Devon Perry (Dorothy) and Dusty (Toto) in THE WIZARD OF OZ at Theatre By The Sea thru August 13. Photo by Steven Richard Photography. 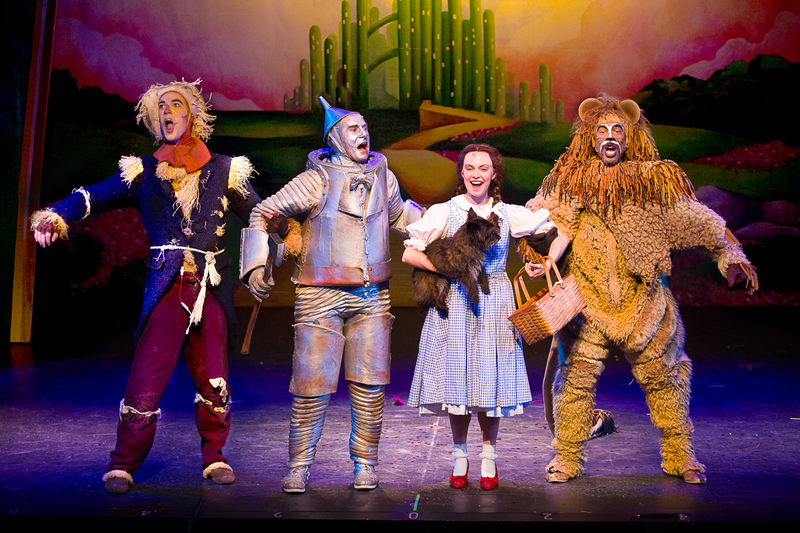 Stephen Petrovich (Scarecrow), Danny Rothman (Tinman), Devon Perry (Dorothy), Dusty (Toto), and Richard E. Waits (Lion) in THE WIZARD OF OZ at Theatre By The Sea thru August 13. Photo by Steven Richard Photography. 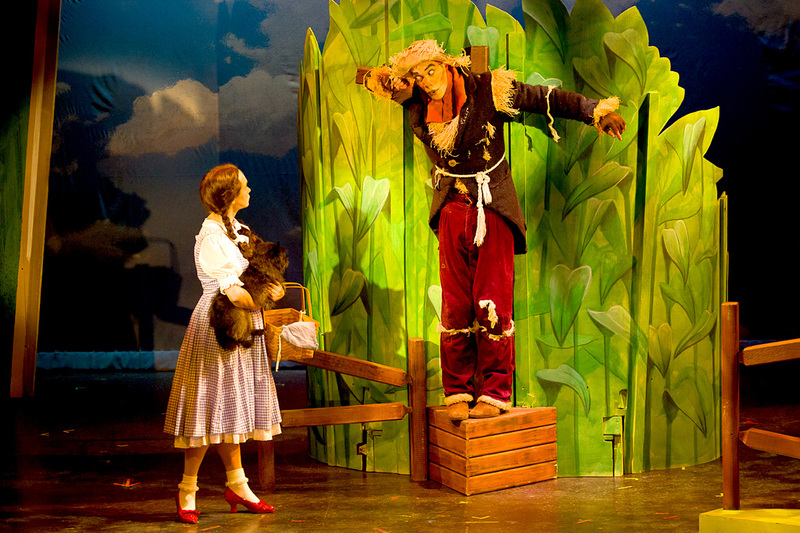 Stephen Petrovich (Scarecrow) with Devon Perry (Dorothy), and Dusty (Toto) in THE WIZARD OF OZ at Theatre By The Sea thru August 13. Photo by Steven Richard Photography. 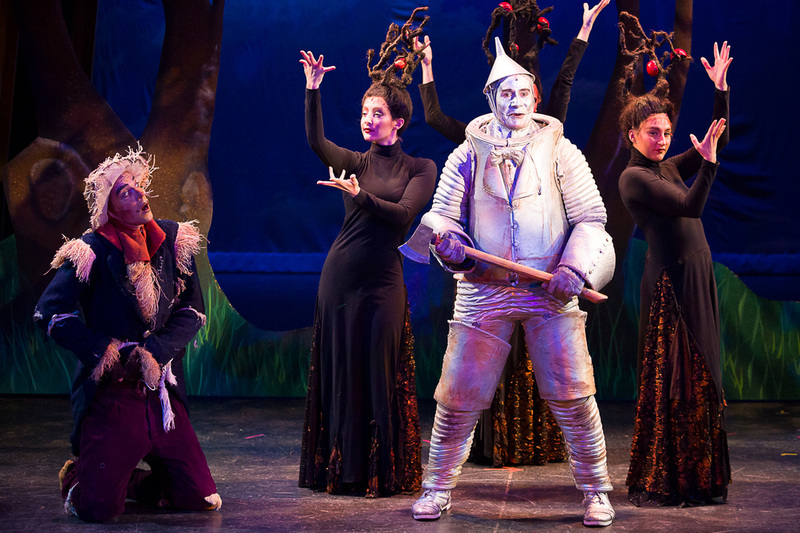 Danny Rothman (Tinman) with Stephen Petrovich (Scarecrow) and the ensemble of THE WIZARD OF OZ at Theatre By The Sea thru August 13. Photo by Steven Richard Photography. 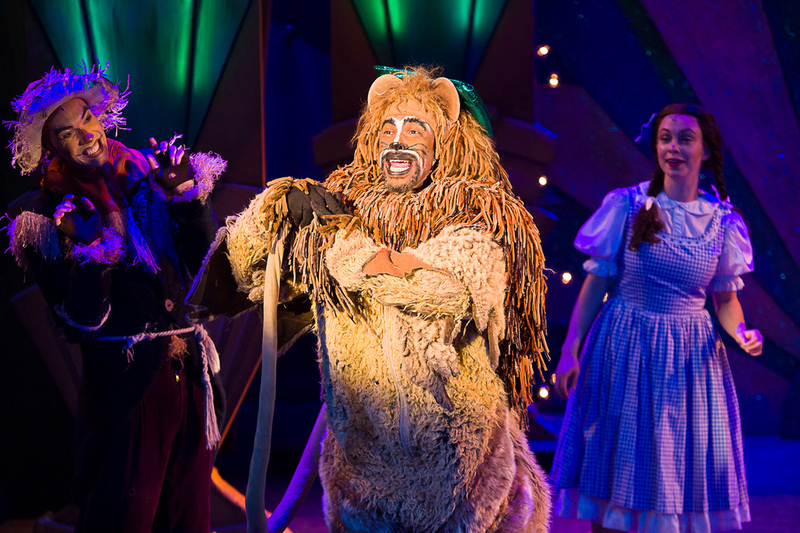 Richard E. Waits (Lion) with Stephen Petrovich (Scarecrow) and Devon Perry (Dorothy) in THE WIZARD OF OZ at Theatre By The Sea thru August 13. Photo by Steven Richard Photography. 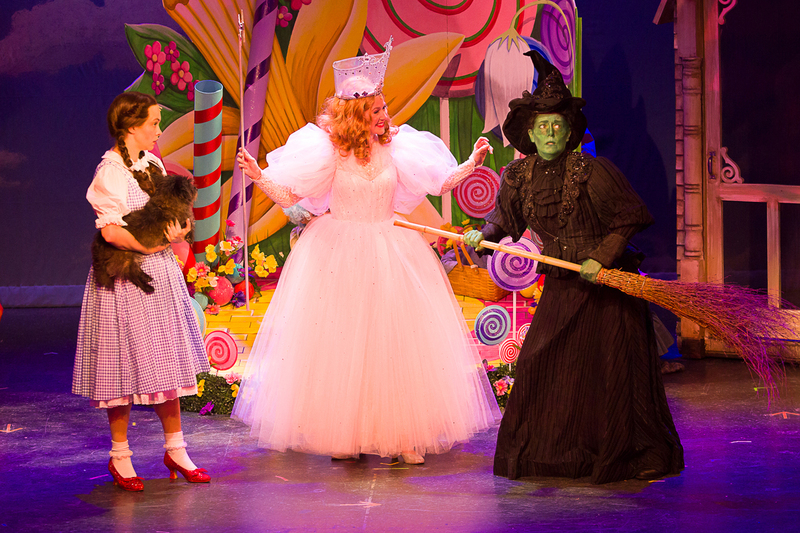 Devon Perry (Dorothy), Dusty (Toto), Rochelle Smith (Glinda), and Maria Day (The Wicked Witch of the West) in THE WIZARD OF OZ at Theatre By The Sea thru August 13. Photo by Steven Richard Photography. Devon Perry (Dorothy), Dusty (Toto), and Tom Gleadow (Professor Marvel) in THE WIZARD OF OZ at Theatre By The Sea thru August 13. Photo by Steven Richard Photography. The Munchkins of Oz with Devon Perry (Dorothy) and Rochelle Smith (Glinda) in THE WIZARD OF OZ at Theatre By The Sea thru August 13. Photo by Steven Richard Photography. 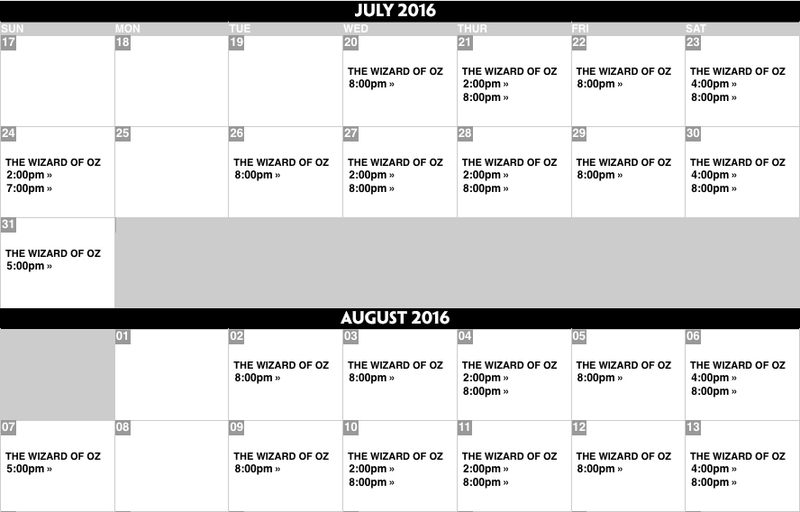 The Emerald City Ensemble in THE WIZARD OF OZ at Theatre By The Sea thru August 13. Photo by Steven Richard Photography. Devon Perry (Dorothy) and Rochelle Smith (Glinda) with The Munchkins of Oz in THE WIZARD OF OZ at Theatre By The Sea thru August 13. Photo by Steven Richard Photography. Devon Perry (Dorothy), Dusty (Toto), and Tom Gleadow (The Wizard of Oz) in THE WIZARD OF OZ at Theatre By The Sea thru August 13. Photo by Steven Richard Photography.